Falls Walk, our new West End town home development on Oneal Street in Greenville, received its certificate of appropriateness at the September public hearing. 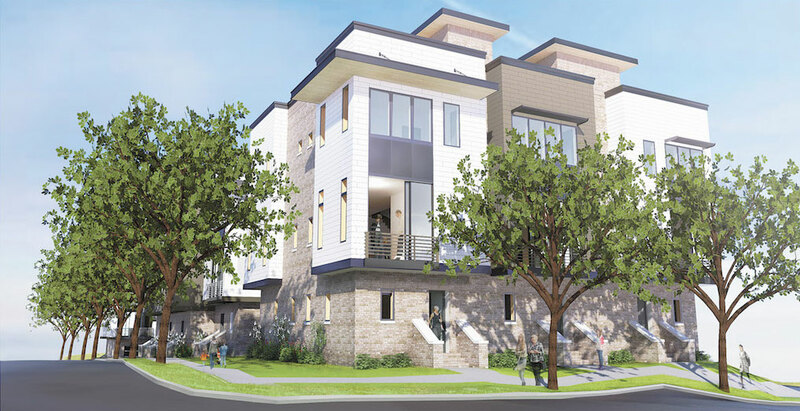 We worked closely with the developers, Terry Birch and Willz Tolbert, to create a 12-unit concept that fits into the neighborhood. These hearings can become contentious. In this case, however the Falls Walk application glided through the approval process, which was also marked by panelists calling for pizza and martinis to sustain them as they worked.